This vehicle has received "Tyne Valley Ten" branding. 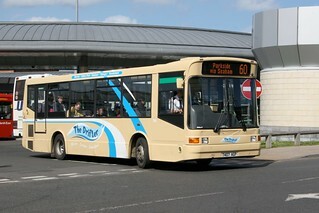 Having previously carried "TEN" branding, this vehicle has been repainted into a dark green base livery. 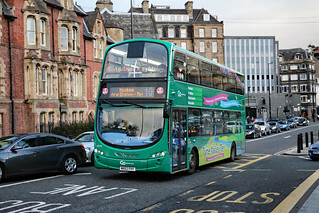 As part of ongoing improvements to services on the Tyne Valley, Go North East will re-brand its "TEN" 10/10A/10B/10X services as "Tyne Valley Ten" on a green base livery, moving away from the silver livery which the vehicles allocated to these services have carried since 2008. 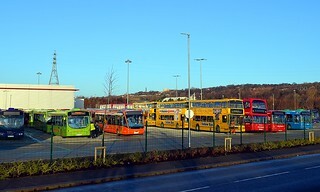 The new brand is designed to represent the picturesque Tyne Valley corridor and promotes the frequent buses to Metrocentre and Newcastle which the "TEN" group of services provide, up to every 10 minutes. 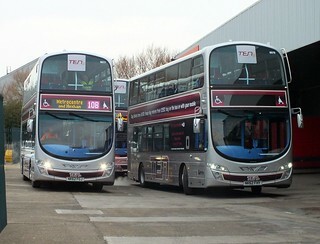 The introduction of new vehicles on "Tyne Tees Xpress" services X9/X10 will see some of the existing Wright Eclipse Gemini 2 bodied Volvo B9TL allocation cascade to the "TEN" group of services to make up the shortfall of the PVR on the "TEN" group of services (currently allocated fleet livery Volvo B7TLs). 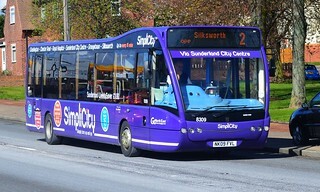 This vehicle has entered service at Hexham Depot. 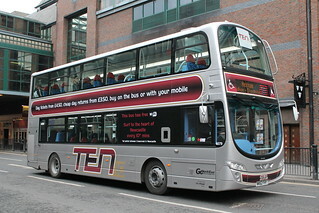 Ahead of its entry into service, this vehicle has gained "TEN" branding. 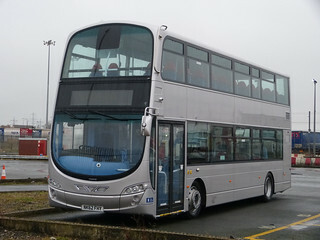 This vehicle, which carries a silver base livery, has arrived into the Go North East fleet. 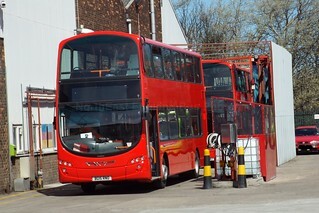 It features Wi-Fi, power sockets, and Next Stop Announcement screens, and is currently being prepared for service at Saltmeadows Road Depot. Once prepared for service, it is expected that the vehicle will be allocated to Hexham Depot, for use on the "TEN" group of services.